When you think of the word paradise, your mind probably doesn’t immediately spring to Bosnia and Herzegovina, and why would it?! You most likely think of a small island in Greece or a golden beach on the coast of Spain. But, this is where you could be going wrong, because, in many ways, Bosnia and Herzegovina is the hidden paradise of Europe, and it’s been right under our noses all this time. Nestled on the Balkan peninsula, Bosnia is a country full of a rich and varied history, and certainly one of the more interesting European nations because we don’t know much about it. Even more seasoned travelers would probably pass this proud nation right by, and may not even realize it exists in the first place. But, this gem is definitely one of the best-kept secrets in Europe, and a place you need to put at the top of your travel list, thanks to these hidden treasures. Welcome to one of the best-kept secrets in the country – Trebinje is the southernmost town in Bosnia and Herzegovina. It’s not very well-known, and most people wouldn’t be able to pick it out on a map. It’s a small but important town and is situated only 28km from the Croatian city of Dubrovnik. You should check out Trebinje properly by taking a walk to Arhangel Mihailo Church, a striking new church offering some exquisite views over the town, and the steep surrounding hills. There’s also the Trebišnjica River, which is home to the iconic Arslanagic Bridge – well worth a look if you’re a tourist. You might have heard of Mostar – it’s arguably the most culturally significant city in the entire country and a place you need to head to during your time here. 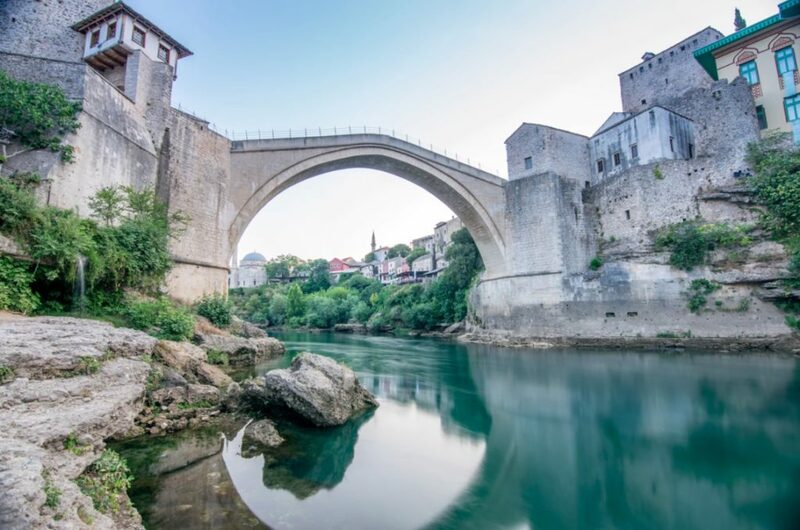 It oozes charm and sophistication and is home to the UNESCO landmark the Stari Most. This is the old bridge in Mostar that is a stunning piece of Balkan Islamic architectures and has extreme cultural significance. Originally built in the 15000s, it was destroyed in the war and then rebuilt as an enduring emblem of unity for a nation so long divided. Okay, so it’s not so much a secret, as it is the capital city, but you can’t visit without a trip to Sarajevo. For some people it’s more famous for the U2 and Pavarotti song Miss Sarajevo, but, it’s also a hugely important city in Bosnia and Herzegovina, and one of the most interesting capitals we’ve visited. A broken city still recovering from a history of war, Sarajevo is in the process of healing itself. Check out the Tunnel of Hope, and the abandoned infrastructure from the 1986 Winter Olympics. 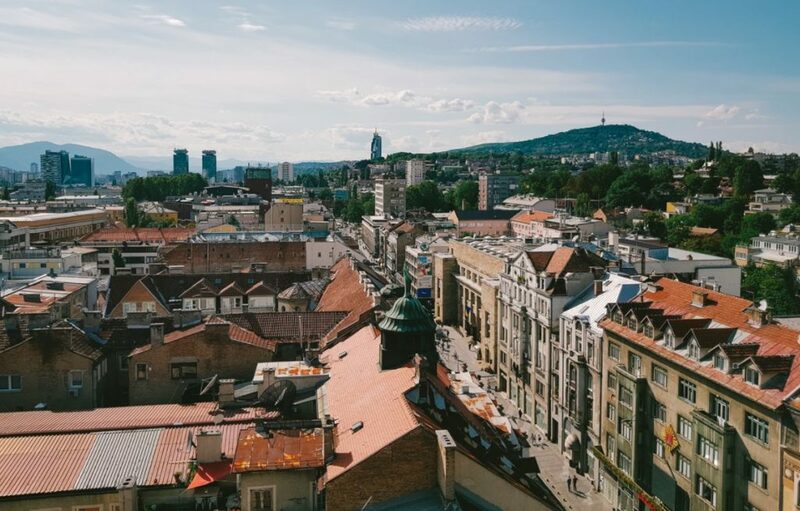 Because of the number of synagogues and Orthodox churches here, Sarajevo is often called the Jerusalem of Europe – a walking tour of the city is definitely recommended. So, now you’ve discovered some of the greatest secrets of this mysterious and beguiling country. And now you can see just what it is that makes Bosnia and Herzegovina one of the best-kept secrets, and most appealing destinations, in Europe. If you’re looking to expand your experiences, and get some more stamps in your passport, make sure you book a trip to Bosnia and Herzegovina as soon as you can.